Tokidoki refers to the cute characters made by Simone Legno. And there are about a hundred characters of Tokidoki and some of the popular ones are SANDy, Adios, Stellina (Unicorno), and Donutella. These whimsical, fantastical, kawaii Tokidoki characters all propped up from the magical mind of Simone Legno. During his teens, Simone Legno visited Japan and fell in love with the people, the way of life, and everything Japanese. Coincidentally, Tokidoki is a Japanese word that means, "sometimes." Some of his "art" has that Asian-vibe so it's no wonder that Tokidoki is commonly mistaken as a Japanese brand. SM Supermalls heralds in the summer fun with an extra splash of color as it celebrates Tokidoki in The City at SM City North Edsa. Guests were given a chance to attend the meet-and-greet the famous Italian Artist and Creative Director of Tokidoki. We (including Simone Legno) all watched a short video of the Tokidoki artist. There's also a pop-up store of Tokidoki items including a special edition Philippine shirt. Proceeds from the store will be given to Typhoon Yolanda survivors. Grazie Signor Legno! Here's a design-your-own Adios character with sharpie pens. Isabel loves sharpies! SM Premier Division Vice President Steven Tan with Simone Legno. He explained that one of the characters in cactus friends was inspired by a "real" cactus in Italy which he said look like bunnies. That's how creative he is. Saab Magalona during the Q&A with Simone Legno. Adios, one of the Tokidoki characters poses in front of the Collector's Hall where different Tokidoki merchandise are on display including "Karl Lagerfeld." Ashley Gosiengfiao can't resist having her photo taken with Adios and Simone Legno. 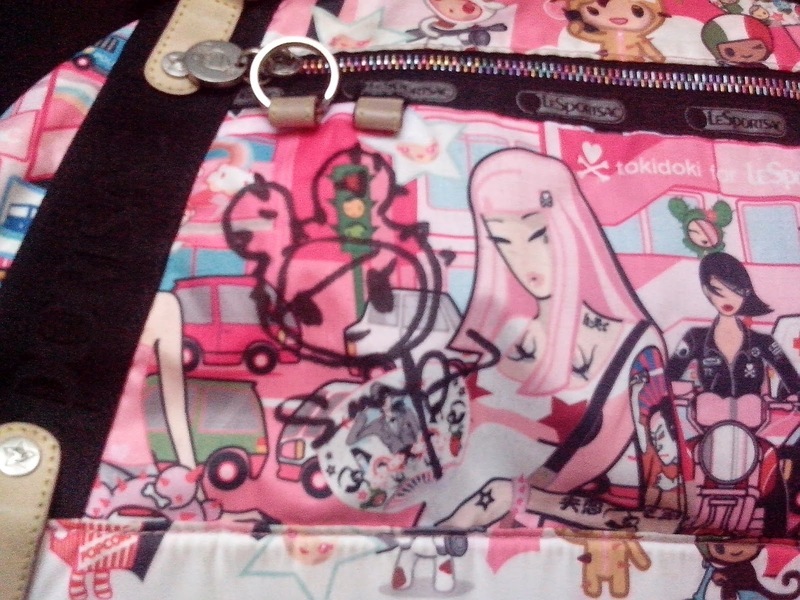 He also signed Tokidoki items including my Le Sportsac. Actually, he not only signed it but drew SANDy as well. Yey !! !